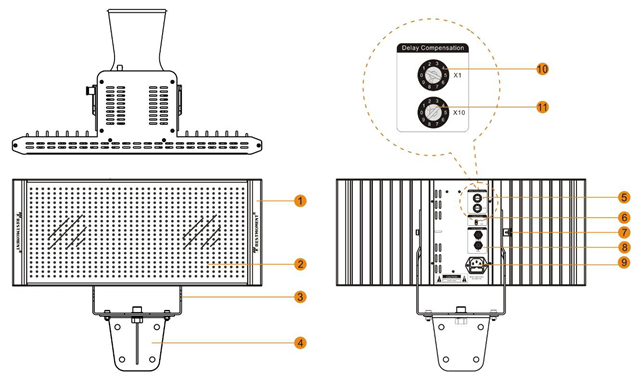 Digital infrared language distribution system--Digital 16-channel infrared radiator RX-H064XP-Restmoment Digital Audio Device Co., Ltd.
Infrared radiator can receive signals from infrared controller, and transmits signals to infrared receivers by max 64 channel. It also can connect to one or many high frequency signal output interfaces on controller. Each output interface on controller can connect max 30pcs radiators by “hand in hand”. 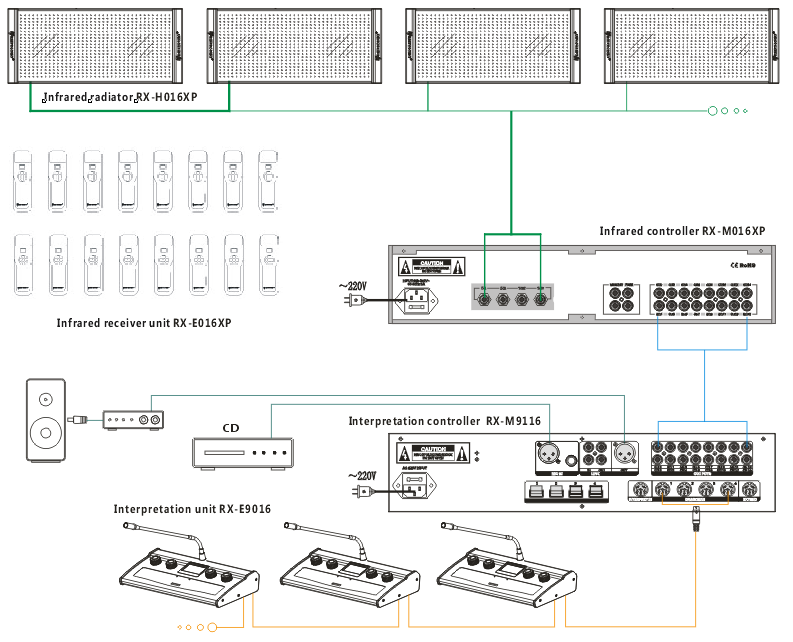 Ø Various installation modes: A-frame floor stand, universal wall stand or other installation modes. Ø Universal power supply, suitable for worldwide. LED displays signal and working situation real time. Ø HF input/output socket (2xBNC), is used to connect infrared controller/ and series connect next infrared radiator.